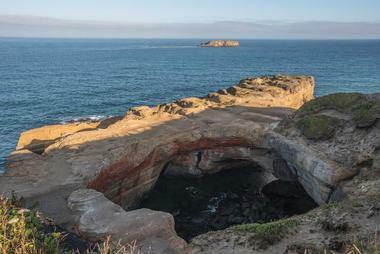 Located on Oregon’s Central Coast, Newport is a small town with much to offer to tourists and locals, from the surrounding magnificent beaches and parks to the unique brew pubs, restaurants, and museums. When visiting Newport, guests will find uninhibited access to whale watching tours, Dungeness crabbing, and a plethora of options to satiate all of their seafood desires. 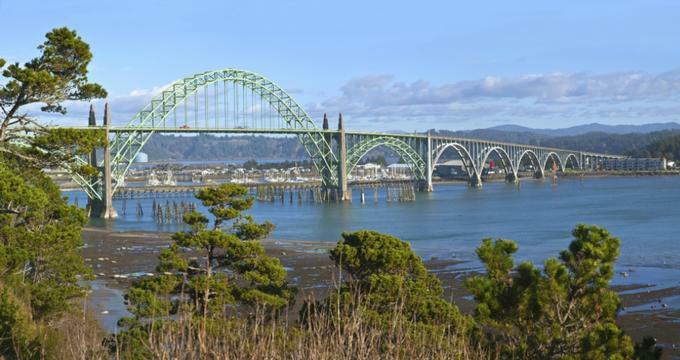 But food isn’t all that is on the table, as Newport also contains Oregon’s highest rated aquarium, intricate local history that can be explored through many museums, and a number of lighthouses that are a must-see for any enthusiast. 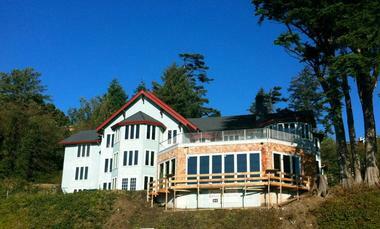 Operated by Oregon State University, the Hatfield Marine Science Center covers 20 acres of land in Newport, Oregon, and opened the Hatfield Marine Science Visitors Center to the public in 1965. The visitors center showcases a large assortment of exhibits, some with live marine animals and others with educational displays about weather, ocean resource management, fishing, tidepool creatures, and other ocean-related topics. The Hatfield Marine Science Visitors Center offers many public programs and various tours, is open all year round, and admission cost is through donation. 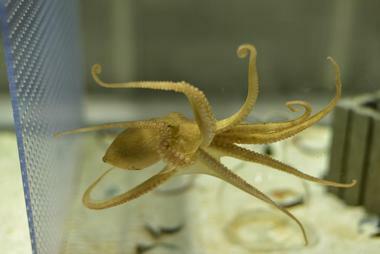 Specific details about current exhibits, donations of live octopus, and hours of operation can be directed to the HMSC website or by contacting them via telephone. Open to the public all year round for general access as well as camping, South Beach State Park covers approximately 500 acres of land and has many facilities to please visitors. Hiking, viewpoints, wildlife sighting, biking paths, fishing, beach access, kayak launching, and hot showers are just a few of the things guests will find when visiting this state park. With over 800,000 annual day-use attendees, South Beach State Park is a favorite among locals and tourists alike due to its extensive open spaces, many high-quality campsites, and well-maintained bike and hiking trails. Overlooking the mouth of the Yaquina Bay and its merging with the Pacific Ocean, the Yaquina Bay State Recreation Site was given to Oregon State by the U.S. Lighthouse Service in two sections, the first in 1934 and the last in 1971. The land contained a historic lighthouse that was later repurposed as a lifeboat station, however modern-day visitors will find the lighthouse restored to its original purpose. The recreation site contains approximately 32 acres of land, many of which were originally curated by the Civilian Conservation Corps to make them more accessible to the public by building trails and rest areas. 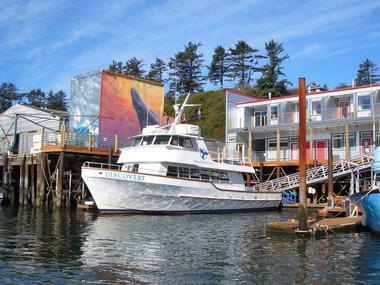 With a yearly average of over 1.5 million guests, the Yaquina Bay State Recreation Site is a sure hit with tourists and locals alike. Depending on the time of year, guests to the Newport Farmer’s Market will either find the summer market or the winter market, both specializing in various fruits, vegetables, and other items that are primarily seasonal. 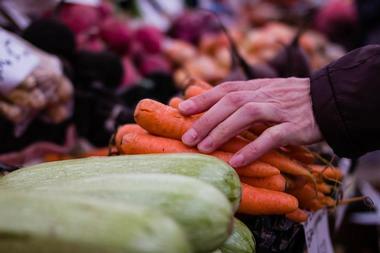 The Newport Farmer’s Market has been running since 1978, rain or shine, and always operates on Saturdays. The farmers that participate in this market offer locally grown produce, eggs, meats, honey, as well as other seasonal items. The market also offers hand-crafted items as well as the chance to listen to local musicians and drink some lemonade to support a local cause. One of the best ways to feel like a local while visiting Newport is to spend a Saturday morning at the Newport Farmer’s Market and enjoy all the local community has to offer. The Newport Historic Bayfront has been entertaining visitors and locals alike for generations, and there are a few specific things that are considered a must-see when in the area. 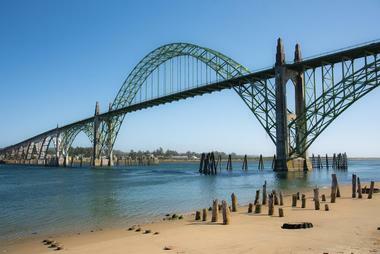 As perhaps Newport’s most iconic and easily recognized landmark, the Yaquina Bay Bridge is designed in art deco architecture and is more than just a means of crossing the bay to get to the Newport area. For many guests travelling here, seeing a lighthouse will be a first-time experience, and Newport offers two distinct lighthouses for guests to visit. Lastly, and perhaps the more important to the area, is the Dungeness crab, and Newport has officially nabbed the title of Dungeness Crab Capital of the World. Presented as a living classroom for nearly all learning styles and ages, the Oregon Coast Aquarium is one of Oregon’s top tourist attractions and is visited annually by over 440,000 guests on average. Since its opening on May 23rd, 1992, the Oregon Coast Aquarium has been a favorite spot among locals and tourists alike, and its popularity only increased thanks in part to the nearly 2 years the Oregon Coast Aquarium was home to Keiko, the killer whale who starred in the film Free Willy. The aquarium showcases some very special exhibits, such as their Passages of the Deep tunnel, which takes guests through a large exhibit containing sharks, rays, rockfish, and more. Known as a center that celebrates history and diverse culture while focusing on scientifically researching the ocean, the Pacific Maritime Heritage Center is located in an historic Bayfront building that was purchased in 2004 by the Lincoln County Historical Society. The center is a working museum that features a working wharf, many maritime-themed exhibits, and various interactive sections to help educate tourists and locals alike. Many of the Pacific Maritime Heritage Center’s exhibits tell the stories of folks who live and work on sea, on land, and along local rivers and other waterways. 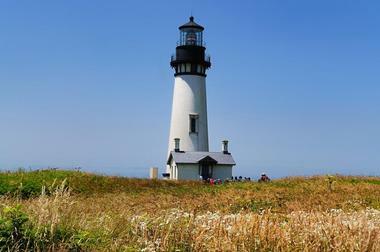 Featuring Oregon’s tallest lighthouse and much more, the Yaquina Head Outstanding Natural Area is aptly named considering the range of adventure that can be had inside the area. The natural area is a piece of land that extends for a mile from the rest of the coast toward the ocean, a detail which makes it particularly important to have a bright light atop the 93-foot tall lighthouse, which has been in service since August 20th, 1873. There is also an interpretive learning center that showcases exhibits on marine life, sea birds, and human history within the area. The interpretive center can be explored during any open hours, but to visit the lighthouse guests must participate in a park ranger-led tour. 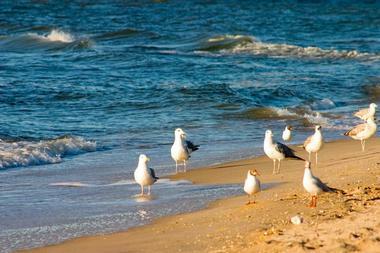 Covering over 135 acres and hosting more than 300,000 visitors each year, the Beverly Beach State Park is a local treasure that remains popular for a variety of reasons. With the appropriate weather, guests may find kites flying, sand castles being built, and surfers enjoying the waves of the North Beach, while other guests search for fossils on the South Beach. Near the beach itself lies the campground, fully equipped with a visitors center that offers campsite registration and firewood purchase, and a large variety of campsite and RV hookup stations to suit the needs of any visitor. 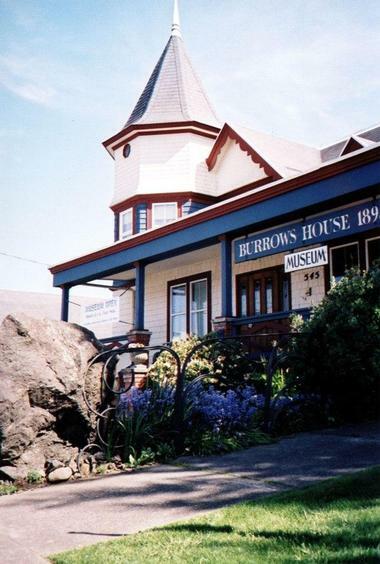 The modern-day Burrows House now stands as a museum, however this Queen Anne Victorian style building has not always been an establishment focused on educating the public. When it was first built, the Burrows House was the home of newlyweds Susan and John Burrows, but after a short-lived marriage the house became a boarding house run by Susan. Eventually, Susan sold the house to Warren and Aileen Hartley, who turned the building into a funeral parlor. After a few more sales and purchases, the Burrows House ended up being purchased by the Bank of Newport, which donated the building to the Lincoln County Historical Society, and on September 24th, 1978, the Burrows House Museum officially opened to the public. Located approximately 9 miles north of Newport, Oregon, on Route 101, Cape Foulweather was originally named by Captain James Cook in 1778 after he experienced particularly bad weather in the area. Noted as a popular tourist destination for its beautiful scenery and ocean views, Cape Foulweather consists of an open overlook and a gift ship very near to the coast. During inclement weather, visitors are invited to seek refuge in the gift shop, which features a cliff-side panoramic view of the water and kelp beds. There is a small parking lot to serve visitors, and the gift shop is open all year round. This family-owned and operated business has been running for over 30 years when the season is right and the weather permits. Captain’s Reel Charters offers groups and individuals deep sea fishing adventures as well as ocean and bay crabbing. With every new season during the year the chartered trips will vary, leading to new attractions and destinations to find the best catch. 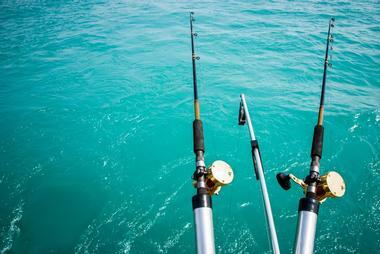 Some excursions may be close to shore, but Captain’s Reel Deep Sea Fishing also offers deep water trips for halibut and even trips up to 100 miles offshore to fish for albacore tuna. For more information about booking an experience with Captain’s Reel Deep Sea Fishing, visit their website or contact them via telephone, as booking dates vary heavily depending on season, weather, and availability. Just steps from Nye Beach and the oceanfront, Carl’s Coffee offers a cozy atmosphere to warm up in the morning chill, relax during the peak of the day’s heat, or take the edge off as the day comes to an end. Carl’s Coffee has many things to offer customers, from Stumptown Coffee Roasters coffee to local baked goods, delicious wines, and their specialty sandwich, a Cuban. 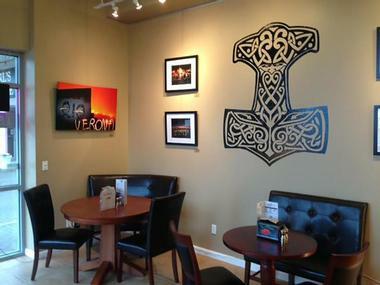 There is a small parking lot to accommodate customers and, depending on the season, both indoor and outdoor seating can be found. Carl’s Coffee is open all year round, but their business hours do sometimes vary depending on the season, so checking their website or calling ahead first is advised. 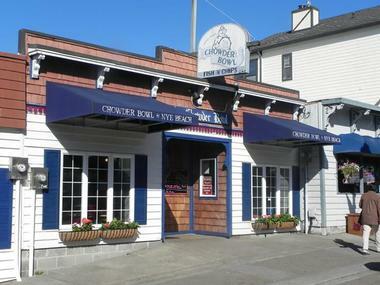 Nestled into Nye Beach since its inception in the 1980s, Chowder Bowl has been serving their milk-based award-winning chowder with local ingredients to customers from around the world. Featuring not only chowder, but also fish and chips, certified Angus burgers, salads, seafood dishes, and handmade desserts, Chowder Bowl is sure to have an option to please everyone in the family. Chowder Bowl also offers a chance to check out beach conditions before visiting by looking at their live webcam on their website. Chowder Bowl is open all year round, however they do hold different summer and winter hours and can get fairly busy during peak hours, so calling ahead is never a bad idea. Slowly acquired and pieced together between 1929 and 1971 through various donations and purchases, Devil’s Punchbowl eventually became the park that it is today. In the 1900s a long wooden slide provided access from the bluffs to the beach, and in the 1930s the Civilian Conservation Corps greatly improved the daily use features of the park, including picnic tables, restrooms, water supply, fire pits, and steps/foot trails leading to and from the beach. Devil’s Punchbowl covers approximately 8 acres of land and has an annual average attendance of around 580,000 guests. 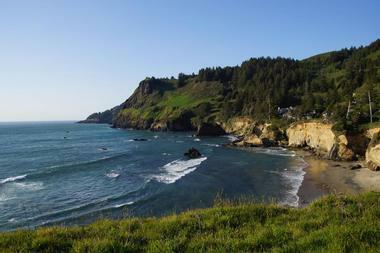 The park is best known for surfers and surf watchers, whale watching, and tidepool exploration. Built to accentuate the striking ocean views offered by its location, Georgie’s Beachside Grill features a large number of tableside windows that showcase its finest asset, the Pacific Ocean. 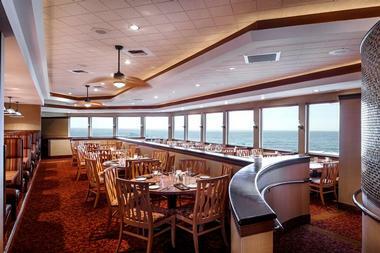 Even given its prestigious location and breathtaking vista, Georgie’s Beachside Grill strives to welcome all of its guests with warm smiles and a kind demeanor. The food is served in good size portions that will leave guests satisfied, whether they are eating Yaquina Bay oysters or delving into the Dungeness crab. Although the menu has an emphasis on seafood, that doesn’t mean that it is the only option, as Georgie’s features vegetarian, gluten-free, and full kids menus as well. Endorsed by the Oregon Coast Aquarium in Newport, the Marine Discovery Tour offers a variety of tour options for groups, individuals, and adventure seekers of all types. Operating daily between the months of March and October, guests can partake in whale watching and sea life cruises with an experienced crew and captain to guide them. When it comes to ocean, bay, and river cruises, guests aboard the 65-foot ship will experience a narrated tour that will educate them on everything from grey whales to plankton. For special group rates, specific tour times, and any other questions, guests are directed to contact Marine Discovery Tour via telephone or via their website. Known regionally as a credible surf shop, Ossie’s has been serving the community and tourists for over 15 years. Although Ossie’s Surf Shop primarily focuses on all things surfing, they have also branched into kayak tours and offer five separate guided kayak tours for guests to choose from: Beaver Creek, Newport Bayfront, Olalla Lake, Otter Rock Marine Reserve, and Siletz River. These tours are guided by a professional, take anywhere from 1 to 4 hours, include kayak rental, and have space for anywhere between 6 and 9 people, depending on the tour. 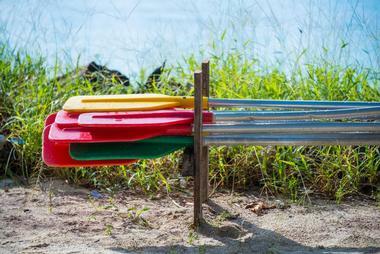 Some of the tours require guests to have prior kayaking experience, while others welcome guests of all skill levels. The costs vary, and tours can be booked either through the Ossie’s Surf Shop website or by contacting them by telephone. A short stroll from the ocean and even closer to Nye Beach, the Panini Bakery has been a local favorite since it was founded and often draws large crowds during its peak hours. 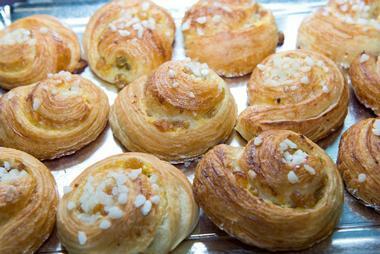 They offer a variety of pastries, pizza, sandwiches, and breakfast options for guests to enjoy throughout the day. It is recommended to show up hungry to this cozy spot since the portions are sure to fill patrons up; be aware that guests may have to wait since the seating is moderately limited. Many locals rave about the house coffee and the food to-go option, since it enables visitors to get all the perks without having to wait for a table. When the owner of the Rogue brewpub in Ashland, Oregon, travelled to Newport to seek out a new location for Rogue, he encountered an unfortunately powerful snowstorm that temporarily trapped him in the town. While wandering the snow-covered streets, he came across Mohava Niemi, founder of Mo’s Restaurant, and she extended her hospitality through a bowl of her famous clam chowder. 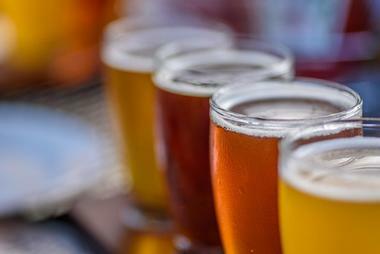 Over that bowl of chowder, it was agreed upon that the next location of Rogue Ales Brew Pub would be in a building Mo owned and, thus, Rogue Nation Brewery and Spirits in Newport was founded and opened in May of 1989, the same location it exists at today.